Product #15894 | SKU VT-737SP | 0.0 (no ratings yet) Thanks for your rating! 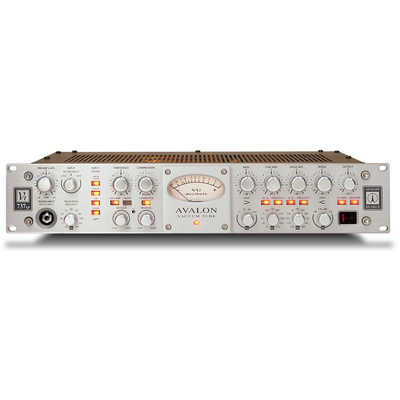 The VT-737SP from Avalon is a single-channel, vacuum tube Class-A processor that combines a tube microphone preamp, instrument DI, opto-compressor, and a 4-band parametric AEQ. The high-performance channel strip provides incredible warmth, depth, and character to digital recordings, and is a perfect front-end for digital audio workstations and broadcast studios.